This barbershop franchising venture in Alberta has become one of the dominant names in the men’s grooming industry across the locality. The company has embarked on a unique business concept – combining the features of a feel-good traditional barber shop with the newest trends in the hair fashion industry. They cater both the young and the old, with a wide range of hairstyles that you can choose from at a comfortable price. 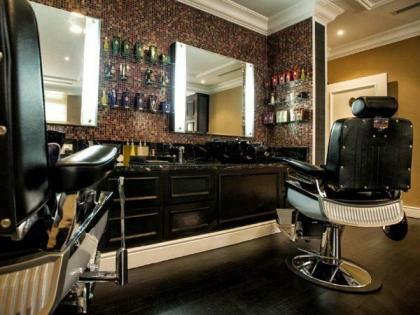 Each of their expert barbers is dedicated to meet the personal needs of every client. They are committed in delivering top-notch and prompt services, trying to serve as many customers as they can without compromising quality. Thus, their brand has been a popular name in the entire district of Edmonton with different franchised shops in various locations. They are characterized to be authentic and at the same time classy, which draws attention from both old and new customers within the locality. Investing on this venture will surely bring a constant flow of monthly revenues. It has established a network of new and repeat clients, thanks to its team of professional hairstylists who never fails to deliver exceptional customer service. They even offer discounted rates and referral programs for loyal patrons. They aim to bring forth an unforgettable haircut experience for each and every customer that walks through the shop’s door. This contributes to the credibility of the company’s reputation that has been established all throughout these years. It has proven a successful track record, which has not been matched by any other company in the same line of industry. All business processes and policies are already set in place, which makes it easier for the new owner to take charge of this venture. There has been a great demand in the men’s grooming industry the past years, which contributed a lot to the total sales that this franchising business has enjoyed. For years, it has consistently delivered the highest quality of service to its customers. That is why, even with the presence of other competitors, this steadfast company is still earning a huge profit day by day. With the new management taking over, it is highly advised that attractive marketing and advertising strategies should be created to expand the network clientele. Such move includes discounted customer rates, seasonal promotions, additional freebies and amenities, extra pampering services and more. Targeting the neighboring districts outside Alberta is the way to go. There is a great number of professional and highly trained employees that you can depend on when it comes to delivering excellence in work performance. They are willing to provide assistance and support to the new management right after transferring the business to the new owner. Apart from the regular hair-cutting services that this barbershop offers, there is also a potential growth when these are combined with massage and spa services catered to male clients. You can also venture out to be an exclusive distributor of various high-quality skin and hair products.